It was amusing to find out that in Spain, there is a commercial brand of biscuits called Filipinos! The standard Filipinos biscuit is ring-shaped and coated in either white, milk or dark chocolate. It is said that the biscuits were inspired by the rosquillos of Iloilo and Negros hence the name Filipinos. Its manufacturer added a twist by coating it with different kinds of chocolate. They also sell Filipinos Agujeros or the holes of the biscuits coated in dark or white chocolate, as well as Filipinos Bigsticks. 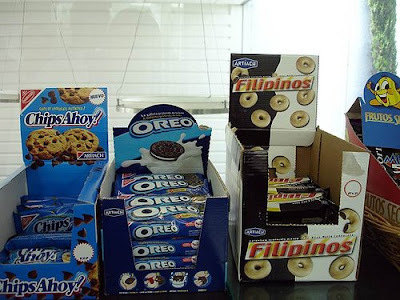 I found it equally amusing that Filipinos are sold alongside popular cookie brands such as Oreo and ChipsAhoy! But it was not amusing that a former administration made a big fuss out of it by filing a diplomatic protest saying that the use of "Filipinos" for a commercial brand was insulting. The Foreign Affairs secretary reluctantly filed the protest saying that he saw nothing wrong with the use of "Filipinos" as a brand name and pointed out that Austrians don't complain that small sausages are referred to as Vienna sausages! I'm actually happy they chose the name Filipinos since the biscuits are really good! What do you think? I had Filipinos Agujeros and I love it.The administration who filed a complaint has shown only the lack of common sense and humor,that most leaders we have today lack tsk.tsk.tsk. It's cool to have good cookies named after us. Hey did you see the street in Madrid named Islas Filipinas. Spanish people are actually cool with Filipinso in Spain. At least the ones I styed with, my host family during my studies there. @indiobravo, ironically it was an administration that even poked fun on itself. So I wonder where the sense of humor went. I very much agree with the Philippine Administration. Calling a cookie or a biscuit FILIPINOS, which is our race and nationality is an INSULT. I am still dismayed that people don't see this at all. With regards to the argument that Austrians are not upset that a type of sausage is called Vienna Sausage, well hello???? It's called a VIENNA SAUSAGE, not an AUSTRIAN- PERIOD! Same thing goes with French Fries for that matter. It's called FRENCH FRIES, not THE FRENCH. Same goes with Hungarian Sausages. It's not called THE HUNGARIAN. With this thought in mind, calling a biscuit simply by FILIPINOS is DEEP INSULT targeted towards that race, may it be intentional or not. If the company's goal is to base it on some historical cookie in cebu, then they should have called it Cebu Cookies, or Philippine Cookies, or Filipino Cookies. Not FILIPINOS. Doing so degrades our race into simply, a commodity that can be bought in the store. I seriously hope more Filipinos realize this! A Hamburger is a citizen from Hamburg, Germany, and you don't see them getting insulted by having a sandwich named after them. Same with their cousins from Frankfurt. The Filipinos biscuits are all over here in the Netherlands and Belgium too. Its sold and licensed under the Verkade brand. Well I havent tried em but i will soon :D I looked for a mo. and finally found them on the french google. http://www.mesadelsur.com/espagne-biscuit-filipinos-chocolat-alimentation.htm for anyone else who wants them and live in the US or something. Just translate the page. Only snag is that its more to ship them than to even buy one pack. Shipping is like $10 US for one pack that is about $3+ but enjoy. And I find it commical that its Filipinos Negros and Filipinos Blancos. Double the racism xD mwahah jk idc But didnt know you could have white or black filipinos. Thought they were just brownish or tan. <3 them though. 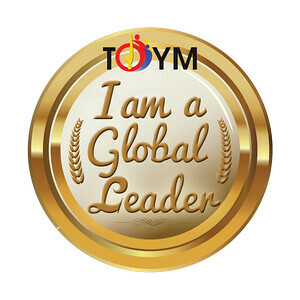 Thank you so much for the link!! I've been looking EVERYWHERE for a place to buy Filipinos, but I couldn't find one until I saw that link!! :) They're one of my favorite cookies/biscuits around!! i wish Filipinos would be sold here in the philippines! super yummy! corny nung mga nagsasabi na insulting daw. it's all in the mind. What a misplaced reaction. It is more insulting to call our people 'Filipinos' because that is a name after the medieval Spanish monarch King Philip. We are no longer subjects of this monarch and we still call our people 'Filipinos'! That is insulting. Instead of complaining about the biscuits, change the name of the country, for heaven's sake. Nakapunta na kami ng Madrid at nagulat din ako sa cookies na ito. Pero hindi ko ito nakikita bilang isang insulto sa ating mga Filipino. Palagay ko kaya ganyan ang brand name ng biscuit kasi isa tayo sa mga pangunahing exporters ng cacao. At saka natiman ko na ang biscuit na yan, masarap yan. nakakainsulto kung pangit lasa di ba? hehe! at saka sa mcdo ng España, ang ice cream nila doon may Filipinos cookies. di ko maalala kung mcflurry siya o ano. At saka karamihan sa mga español, ok sila makisama comapara sa ibang lahi.